Rita Purcell, a victim of the scam, now has a debt of $5,000 in collections and her credit is ruined. 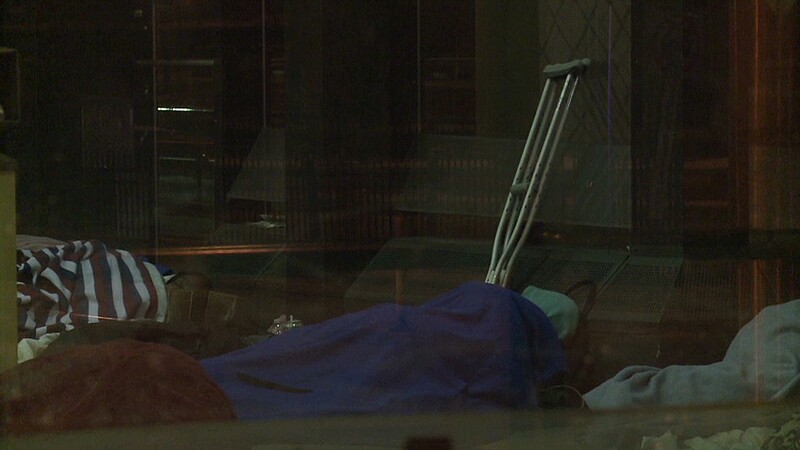 A scam preying on the homeless is popping up in cities across the country. Scammers are ruining homeless peoples' credit and incurring big debts in their names -- all to get their hands on cheap cell phones that they later sell. Fraudsters pay homeless people to take out cell phone contracts and get subsidized phones -- the phones cost maybe $100 for a phone worth $600. Once the scammers get the brand new phones in their hands, they drop off the homeless victims and sell the phones on the streets, online or abroad. The homeless people get a little out of it -- perhaps $50 or $100. But because the phones are in their names, they end up racking up hundreds or thousands of dollars in bills. When they fail to pay, their credit gets destroyed. "This is one of the most heartless scams I've ever seen," said Joe Ridout, a manager at Consumer Action. "They're preying on a person's desperation and making the prospects of that person improving their livelihood much worse by destroying their credit rating -- causing them to face barriers getting a job, getting an apartment." 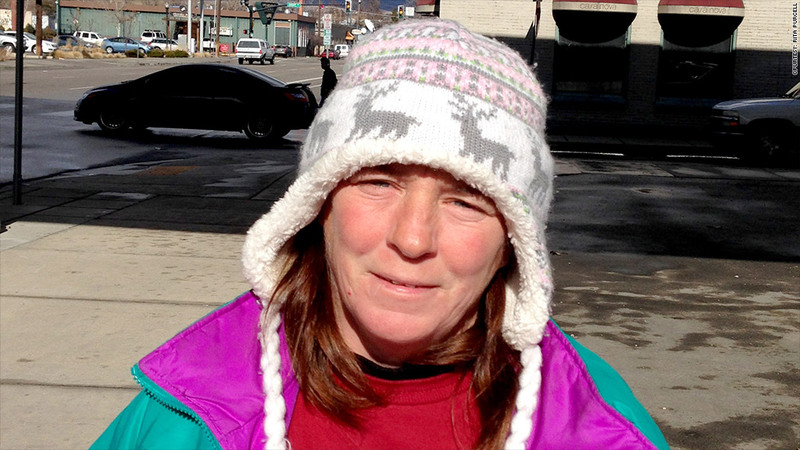 Rita Purcell, a 49-year-old from Boise, ID, said she and a friend were walking back to a homeless shelter after buying cigarettes when two men drove up in a car and asked if they wanted to make some quick cash. At first Purcell liked the sound of it, but she became wary once they began asking for her Social Security number and other personal information to check her credit. She ended up signing contracts for eight phones, and the men gave her $100. A few weeks ago, when applying for affordable housing, Purcell discovered through a credit check that she had debts totaling $5,000 from Sprint and Verizon that had been sent to collections. Her application is still being processed, but now she's worried she won't qualify. "I'm homeless, I'm on fixed income, and now I've got thousands of dollars in phone bills when there's no way I can pay for anything," Purcell said. "I'm screwed as far as my credit report goes." Boise Police Department officer Tom Shuler said that in early February, three men were in town offering people money for opening cell phone contracts. He said they would pick up people from shelters and call Verizon to do credit checks -- to find out if they qualify for a phone line and how many phones they qualify for. Then they would drive them to the local Walmart to pick up the phones. Many retailers will sell you as many phones as you want, as long as you have decent credit -- and even a very limited credit history is often acceptable. While some homeless folks are likely knowingly complicit in the fraud, others may not understand that what they're doing is wrong or that it could have major repercussions. "[Among the homeless], you've got the guys who have alcohol problems, the guys down their luck and the guys with mental illness -- it's quite the spectrum, but when you flash $100 or $150, that kind of overrides common sense," said Shuler. Related: Homeless and living in Camden, N.J. The Boise Police Department caught the ring leader involved with the scheme, but they were unable to charge him with anything, because it wasn't technically considered theft or fraud since the homeless people had willingly bought the phones in their names. Shuler said the ring leader told him that he started in California and has been stopping in every state to pick up cell phones -- acquiring hundreds of phones and then sending them overseas -- receiving thousands of dollars in exchange. Reports of the scam have been surfacing in other cities as well -- including Memphis, Tenn. and Overland Park, Kan.
Last year, police in St. Louis, Mo., caught two men who had picked up homeless people at a shelter, paid them each $100 to set up cell phone contracts at Walmart and dropped them off at a liquor store, said Andrew Soll, a detective at the St. Louis County Police Department. The officer followed the scammers' van to a motel, where he found a bed covered in heaps of brand new iPhones and Samsung Galaxies. The two men were taken into custody, and one was sentenced to six months in prison, while the other man is under probation for five years. But the men claimed to be part of a larger network, so there are likely many more scammers out there, traveling from city to city and continuing the scheme, said Soll.